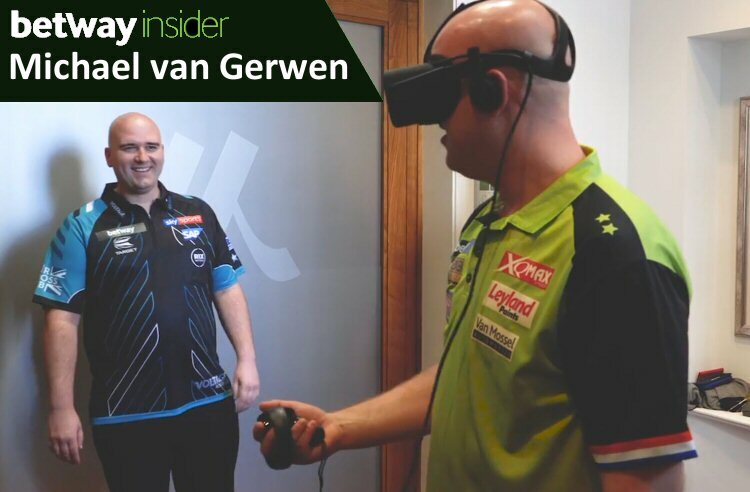 Virtual Reality Darts - Betway Insider! 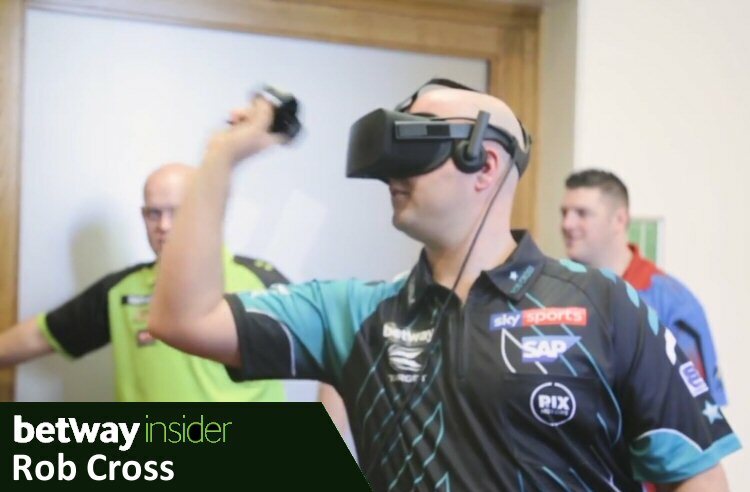 The Current PDC World Darts Champions Rob Cross takes on ‘Mighty’ Michael van Gerwen in a 9 darts virtual reality dart match. However, the two top professional players make hard work of throwing thin air! Unlike conventional darts, the Virtual Reality Darts Games doesn’t have any darts nor does it have a dartboard. It seems just holding nothing can be hard enough for the Dutchman, while Rob finds watching the virtual crowd intriguing. Maybe he is looking for some of his many fans! The Betway Insider blog gives the odds on the real-world contests, could Rob be a good bet for the 2019 World Champions title? Without requiring a double to start or to finish the pair have a few practsce throws and this looks like a boxer shadow boxing. However, things are not as easy as they may have first thought. It may be the darts are too light or just a little hard to hold at first. But with the warm-up over the two do their best to impress. It is a close-run challenge, a bit like last year’s, 2018 World Championship semi-finals when Rob Cross narrowly defeated Michael van Gerwen 6-5 in the semi-finals before he faced the 16-time World Darts Champion, Phil Taylor, in the final. Rob beat Phil 7-2 in the final. The two players seem to be having a lot of fun with the virtual reality darts system and I could see this easily being on someone Christmas list! After results, that all-important handshake is usually exchanged but in the virtual world, this seems a little hard to come by as Michael was to find out. The 9 dart challenged is played in fun and good humour, just what we like to see before a big tournament is staged. The 2019 World Darts Championship has a total prize fund of £2.5M with £500,00 going to the eventual winner. This year two positions have been reserved ladies players and they are likely to cause an upset or two in the early rounds as I am sure the fans will be giving them full support. However, I don’t think either player will be adding in Virtual Reality Darts to the practise routine before this event.